The company is recruiting "vehicle safety specialists" who have to sit behind the wheel of the self-driving autos, ready to intervene should anything go south. 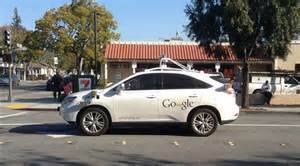 The move comes as Google adds more cars to its fleet roaming the streets of Arizona. The search engine company offers $20 per hour to the brave souls who will venture in the monitoring of autonomous vehicles. Additional details are as follows: drivers will work under 12 to 24 month contracts that come with a non-disclosure agreement, meaning that all information they come across during work hours must stay hidden.